Nainital is the land of picturesque lakes, scenic mountains all around with various divine temples and beautiful markets. Be it the panoramic Himalayan Mountains or the lively Tibetan bazaars, Nainital is a contenting endeavor for anyone to take on and that’s why it has been a favorite spot of family trips, honeymoons and youngster tours. Resorts here are also constructed with a theme of total retreat in this stunning hill-station and are numerous to choose from. 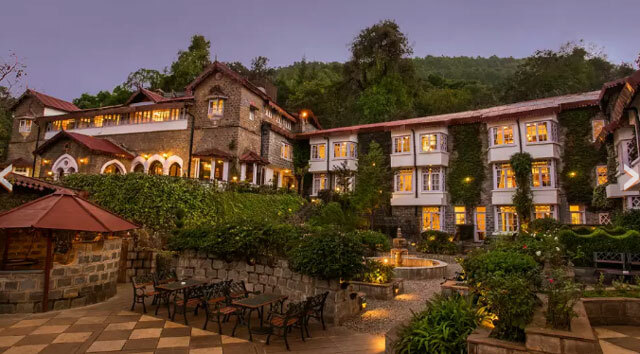 So, to assist you in listing down the best resorts to stay at this place, we are here with the top ten resorts for a perfectly relaxing getaway in the spectacular atmosphere of Nainital. 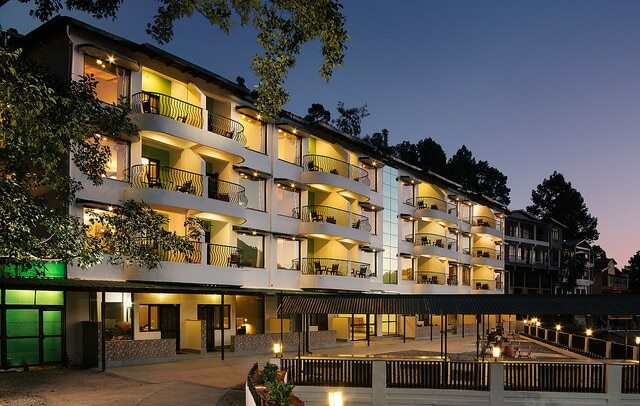 A resort surrounded by the wonderful lush ambience of Nainital, Shervani Hilltop is one of the best resorts if you are considering in luxury terms. All the basic services are available plus this place is quite in proximity with the town’s attractions such as Nainital lake and cave garden. The eye-catching interiors are very tempting plus the prices are very reasonable ranging from simple to luxury. 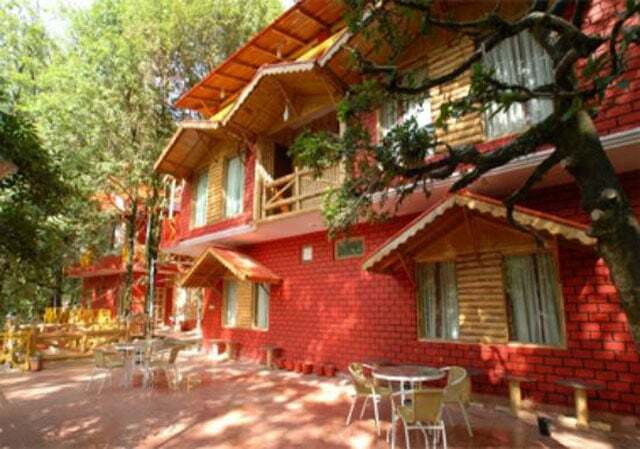 Being a part of the most affordable retreats in Nainital, View Point Resort offers best services at economical prices. 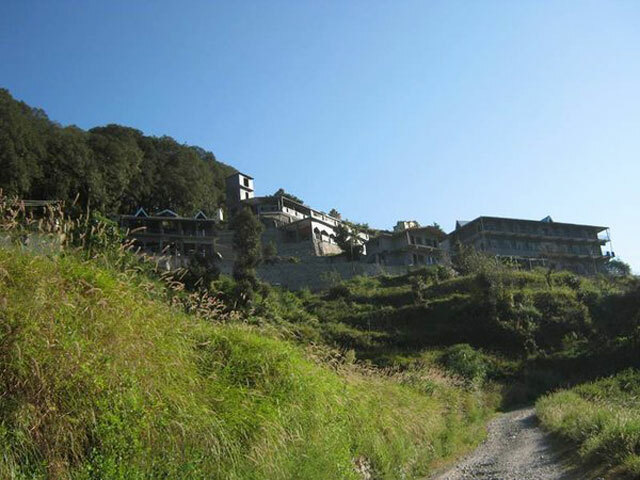 The resort is situated in Mallital and is bordered all around by a beautiful hillside. The stay here has every luxury to basic facility provided with alluring rooms and the amenities are also pretty contenting and deluxe. Styled in Swiss chalet, Alpine Club has an elegant feel and aura to it. It is strikingly constructed within a forest setting and has amazing interiors and exteriors to just be in awe with. Naina Devi Temple and Nainital Lake are situated just a few kilometers away and coming to the services, this resort is finely convenient and comfy to stay at. Overlooking the fabulous Nainital Lake, Naini Heritage Hotel is at its lavish best. The services provided are convenient and extraordinary and the hotel too has a great heritage feel to it making it one of the best luxurious retreats here in Nainital. 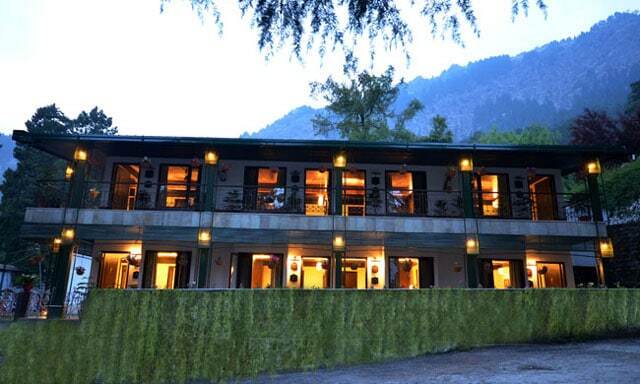 Also, the famous zoo in Nainital is located close to this place and the high location of Naini Heritage Hotel augments the elegance and composure of this retreat. The Earl’s Court is designed in British style of architecture and is surrounded by the thrilling landscape of Himalayan Mountains. The rooms are finely adorned and there is a multi-cuisine bistro for tasting the best of Indian delicacies. Further, the facilities availed have been top-rated by the visitors, thus making it a superb stay for everyone. 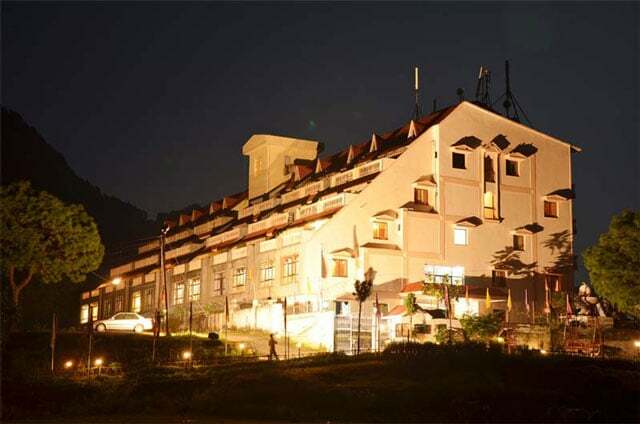 Club Mahindra is known for its international fame and is one of the popular resorts for foreign visitors. The retreat is constructed over a large area and has lush facilities from premium rooms to an indoor playground. 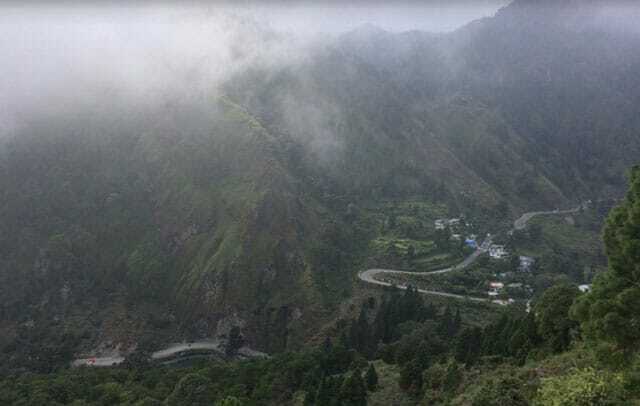 It is situated in Naukuchiatal and the known sites of Nainital including butterfly museum and the Bhimeshwar temple are quite close to the hotel, thus making it convenient for travelers. Garden Valley Resort is sited in Nighlaat region and depicts the pristine aspect of Nainital which is an ideal location to stay in. There is a lovely flowing stream just next to the retreat and the experience is aimed to be quite luxurious with plenty of services provided at this eco-friendly haven. Dynasty Resort boasts European styled interiors and exteriors and offers a deluxe holiday for the guests. 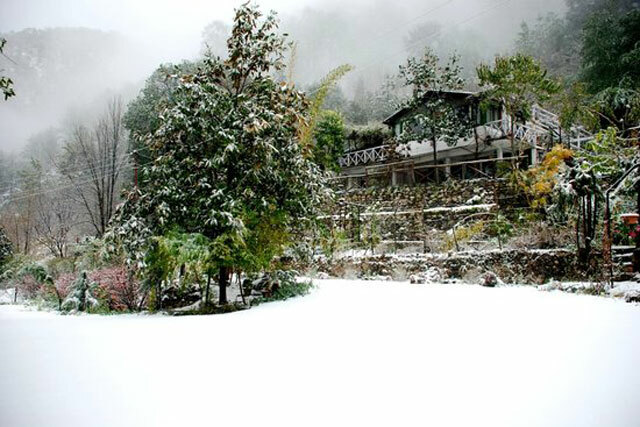 One of the most attractive retreats in Kaladungi area of Nainital, this place has the amazing view of the dazzling Kaladungi Lake and is nearby to the tourist sites of Nainital Lake and Nainadevi temple. Also, the rooms and facilities are very pleasing thus qualifying this resort as a must for vacations. A resort with the setting of serene nature and beautiful flora and fauna, Janardhan Resort aims at providing a simpler but tranquil experience to the tourists. There are basic amenities like, pool, banquet and Wi-Fi, but what makes it more interesting is the chirping sounds that will surround your stay plus the economic value this place provides as it is one of the affordable alternatives in the city. Bhawanipur Greens is a getaway into the astonishing blend of luxury and nature. It is situated in Bhawanipur area of Nainital and is hugely built with a wonderful view of mesmerizing hills from your rooms. It is a plush option to go for and will provide you with a cherishing experience with its enjoyable services and picturesque views to offer. Hence, the above-listed resorts in Nainital are the top-rated places to stay making your endeavor at this gripping hill-heaven all the more exciting and memorable to reminisce. Don’t forget to choose from these amazing options and we wish a great journey in the gorgeous hills of Nainital.